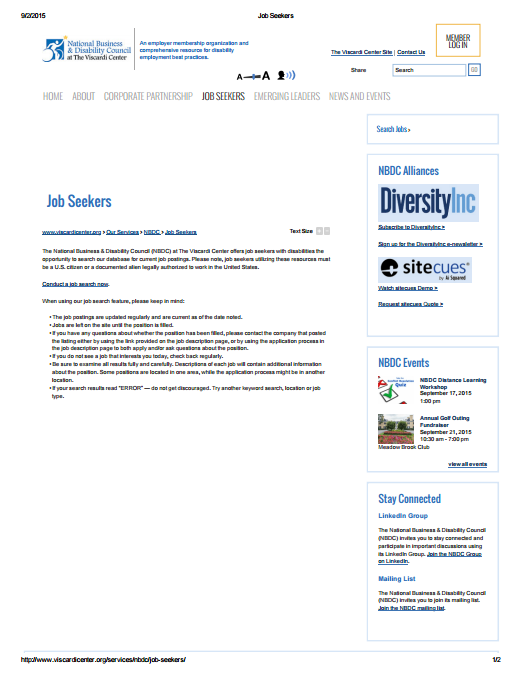 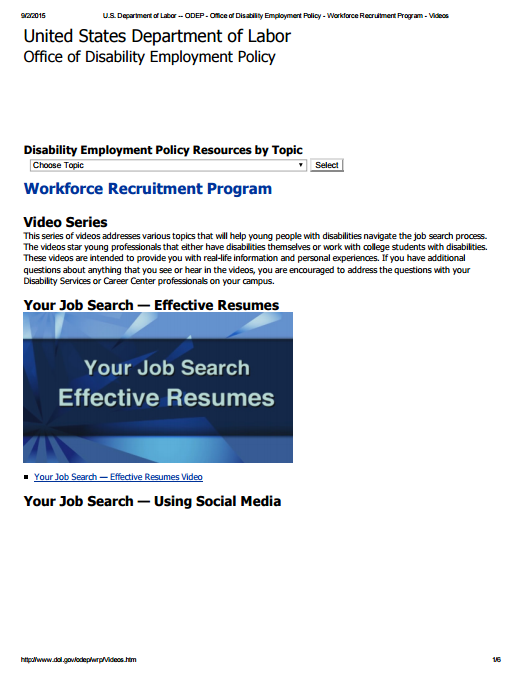 Information on how Vocational Rehabilitation counsels individuals about work incentives and other benefits of working while educating them on the effects of earnings as they plan for employment. 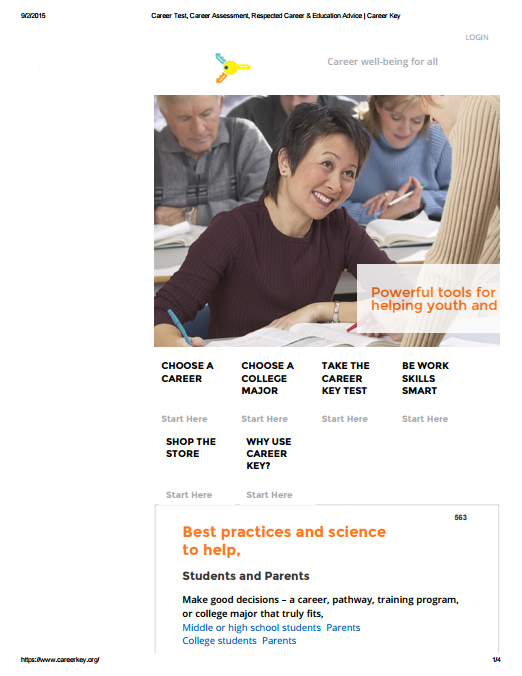 A website designed to provide expert help with career choices -- career changes, career planning, job skills, and choosing a college major or educational program. 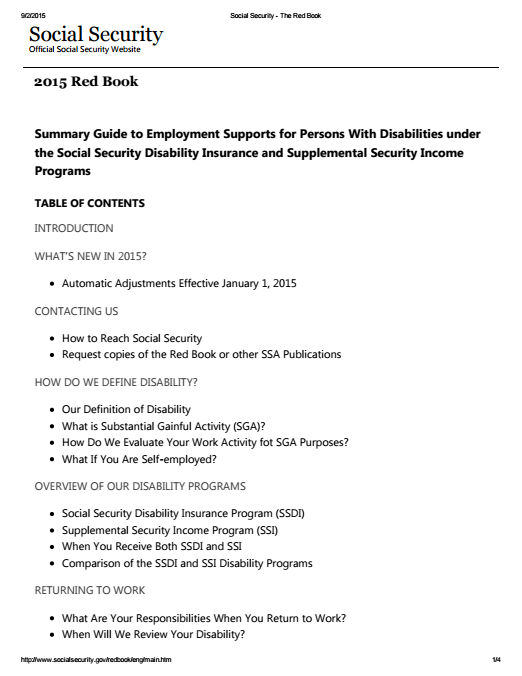 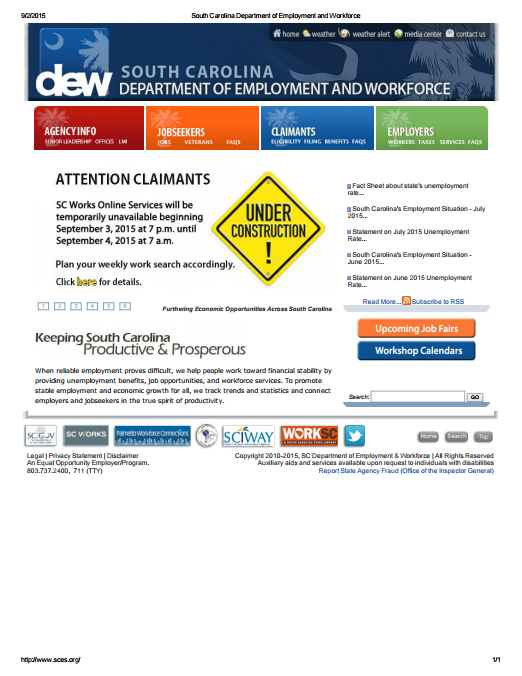 A guide containing information about defining disability, an overview of disability programs, employment supports, resources for returning to work, and more. 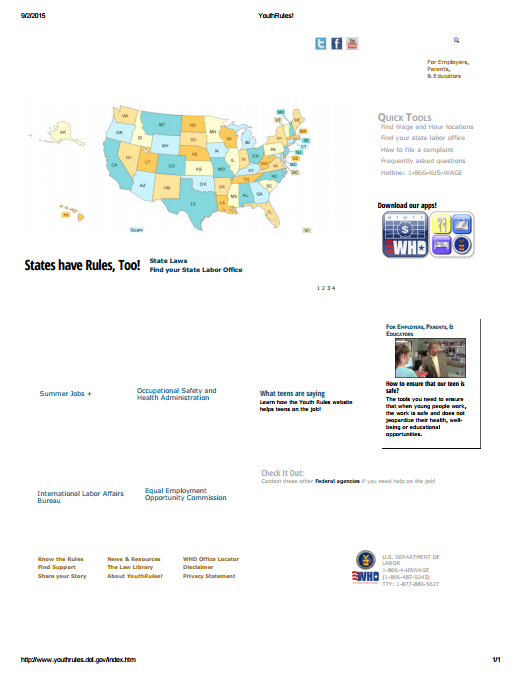 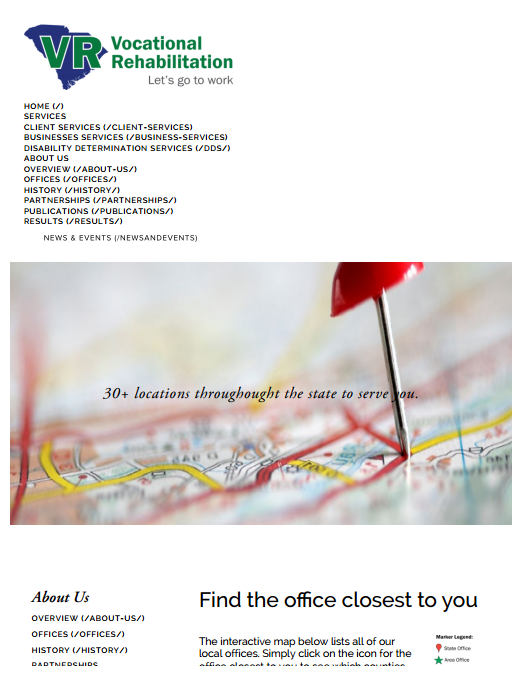 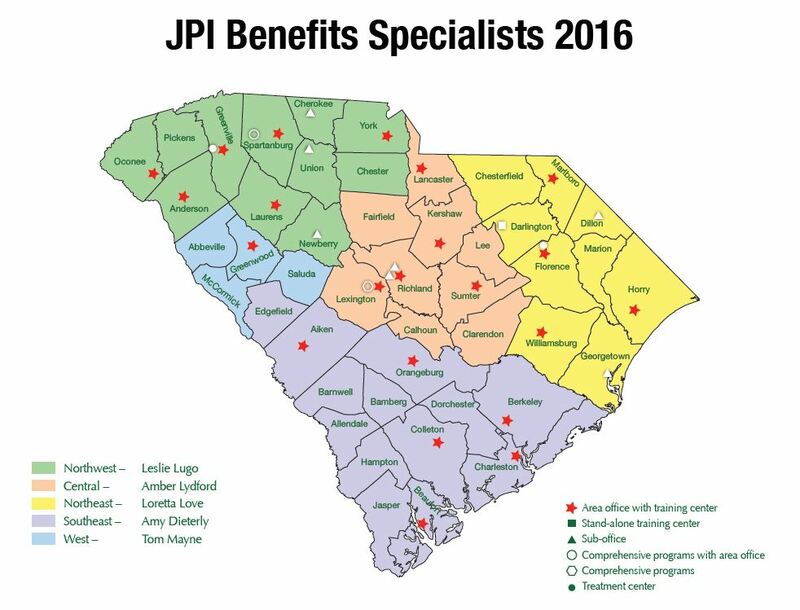 An interactive map listing all of Vocational Rehabilitation's local offices. 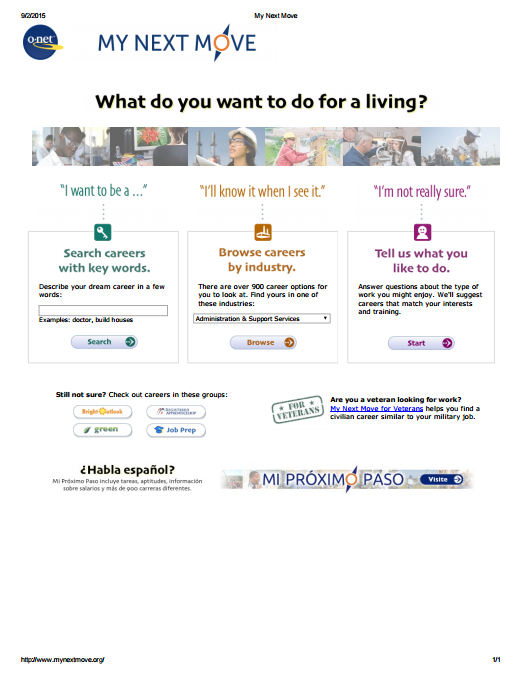 A tool for career exploration and job analysis, with detailed descriptions of the world of work for use by job seekers, workforce development and HR professionals, students, researchers, and more!